Old Colony Heating, Air Conditioning & Plumbing is proud to serve the Scituate community! Scituate is a Plymouth County, Massachusetts town with approximately 18,100 residents. According to the British Daily Mail, Scituate is “the most Irish town” in the U.S. Scituate is a South Shore community, situated directly south of the mouth of Boston Harbor. It is not a contiguous community, as Humarock is part of Scituate but can only be reached via Marshfield. The two portions were originally connected, but that accessibility was lost when the mouth of the South River moved northward after the Portland Gale in 1898. Scituate is home to several interesting things to see that both visitors and residents might enjoy. The Scituate Maritime and Irish Mossing Museum is located in town and features an exhibit on local shipwrecks, which includes the wreck of the Portland, a coastal steamship. 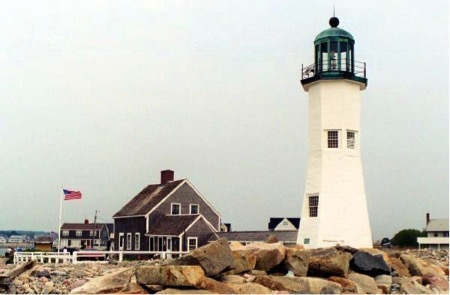 Lighthouse lovers will enjoy visiting Minot's Ledge Light and the Scituate Lighthouse, and history buffs might prefer a trip to Samuel Woodworth's Old Oaken Bucket house. Additionally, if you’re interested in getting out on the water, Labrador Fishing Charters or the Lucky Finn Bugeye Schooner are popular boating excursions. Situated right on the water, the climate of Schituate has some significant maritime influences. During the summer, this means that conditions tend to be a little cooler than some of the inland communities, but the sea air off the Atlantic does lead to some humid conditions. When temperatures in the 80s combine with this humidity, it can become quite sticky and uncomfortable. To stay cool, most residents will rely on their home air conditioning units during these months. Fortunately, the autumn months tend to be less humid and mild, giving residents a break from the heat. During this time, it is recommended that hone and business owners have their winter climate control systems serviced to make sure that they are ready to go, as snowfall and cold temperatures usually begin in December. Without proper climate controls, conditions could become dangerous, even indoors.